During the Korean War, American Troops stationed at Chang Jin mountain reservoir or Chosin reservoir, experienced extreme weather conditions. The reservoir temperatures ranged -5 degrees in the day to -25 at night. Everything is frozen. Food rations were difficult to impossible to warm up, and most of the artillery shells weren’t going off. The 15,000 troops were up against a division of 120,000 men. They were strongly outnumbered, outgunned, and undersupplied and as time tick by, one thing became clearer - if they didn’t get a supply drop, they were goners. Nearly running of mortar shells, the troops called for an airdrop using the code name they’d established for artillery: Tootsie Rolls. To their surprise, when the airdrop arrived, it was filled not with ammunition, but with actual Tootsie Rolls! The chocolate-flavored candies froze, too, but the great thing about Tootsie Rolls is that they can be eaten even when they're frozen. The sugar boost turned out to be just the jolt the troops needed. 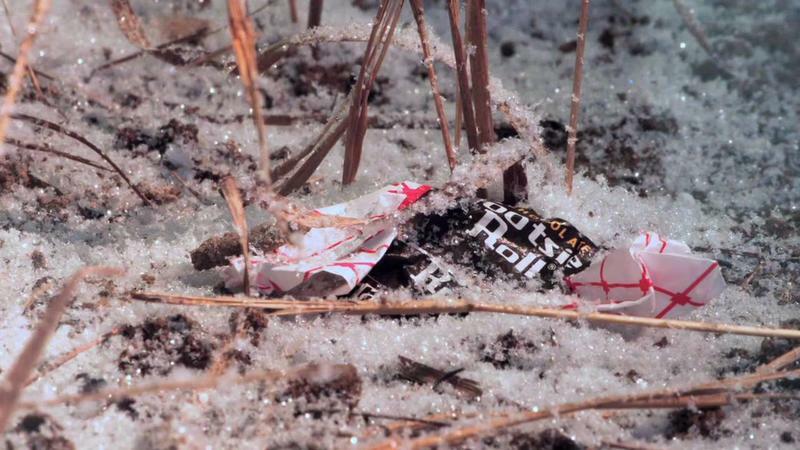 Realizing that the chewed-up Tootsie Rolls would become pliable when warm and would quickly freeze again when exposed to the freezing wind, the troops were hit with a brilliant idea: they used the Tootsie Rolls as some kind of putty to patch bullet holes in vehicles, hoses, and other equipment.